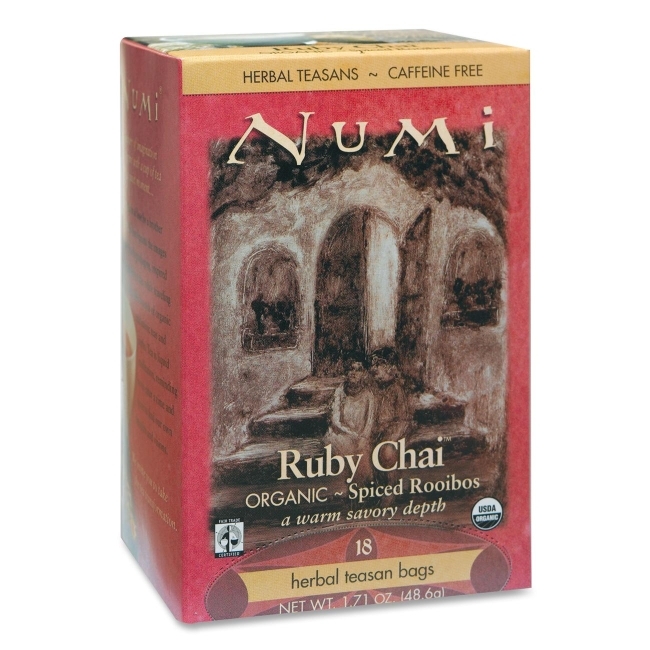 Ruby Chai herbal tea offers earthy, vanilla organic Rooibos with high antioxidant properties and a sultry blend of spices (cloves, nutmeg, cinnamon, sweet Indian allspice, Chinese ginger and cardamom). Caffeine-free chai is full-bodied like black tea, yet soothing any time of day. Organic Ruby Chai contains 100 percent real ingredients with no oils or flavorings. Individually wrapped tea bags are biodegradable.